The European Commission plans to propose further restrictions on the use of neonicotinoid pesticides, an EU official told EURACTIV on Wednesday (20 September), amid a continuing tug of war between environmental groups and pesticide producers. Environmental NGOs have attacked agrochemicals and seeds producer Syngenta, saying that the agricultural model it advocates is “unsustainable” and against the EU legislation. 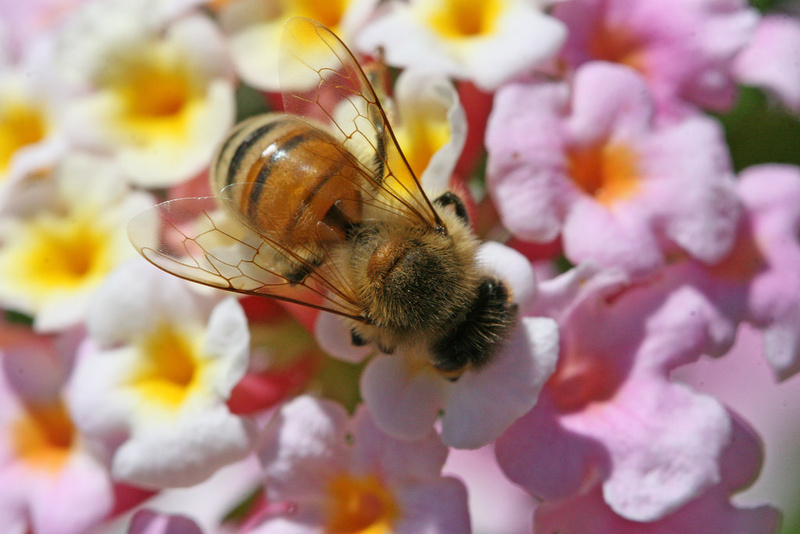 Neonicotinoids or neonics are a controversial group of pesticides. In use since the 1990s, they are the most commonly used insecticides for many food and feed crops. But critics blame them for the detrimental impacts they have on bees and pollinators in general. Anca Paduraru, European Commission Spokesperson on health and food safety issues said that the protection of bees was an important issue for the executive as it concerns biodiversity and the environment. “This is why the College discussed the matter on 29 March and concluded that it will continue its action to protect the bees,” she said, adding that new restrictions were in the pipeline. “The Commission intends to table a proposal which further restricts the use of neonics,” Paduraru told EURACTIV. The EU executive is currently reviewing – on the basis of evaluations by the European Food Safety Agency – the restrictions on the use of 3 neonicotinoids (Imidacloprid, Clothianidin and Thiametoxam). 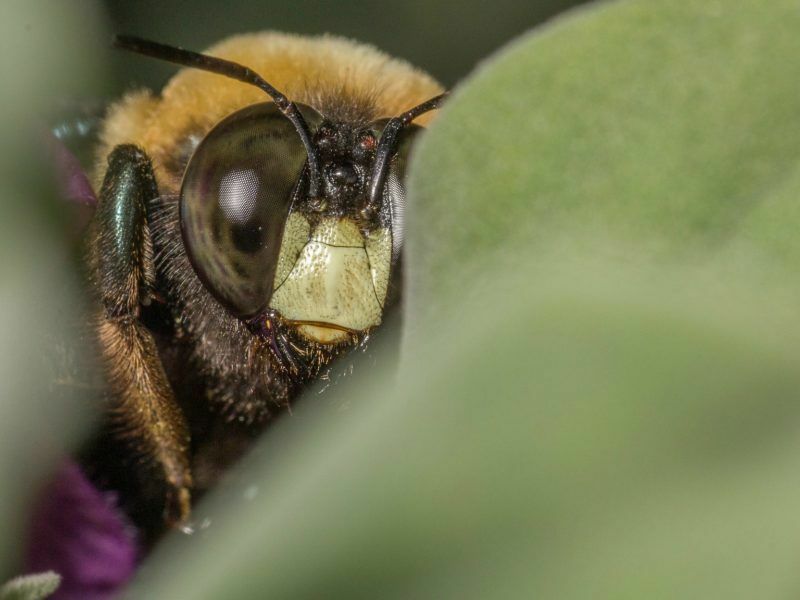 The current restrictions have been in place since 2013 as the substances were recognized as toxic to bees and other pollinators. The EFSA is now evaluating new data collected in an open call for the review of the 2013 restrictions for these three neonicotinoids. The deadline for this evaluation was postponed to 30 November 2017 because of the amount of data to be assessed and the complexity of the request. Referring to an internal document, the Guardian reported earlier this year that the EU executive was mulling a total ban. 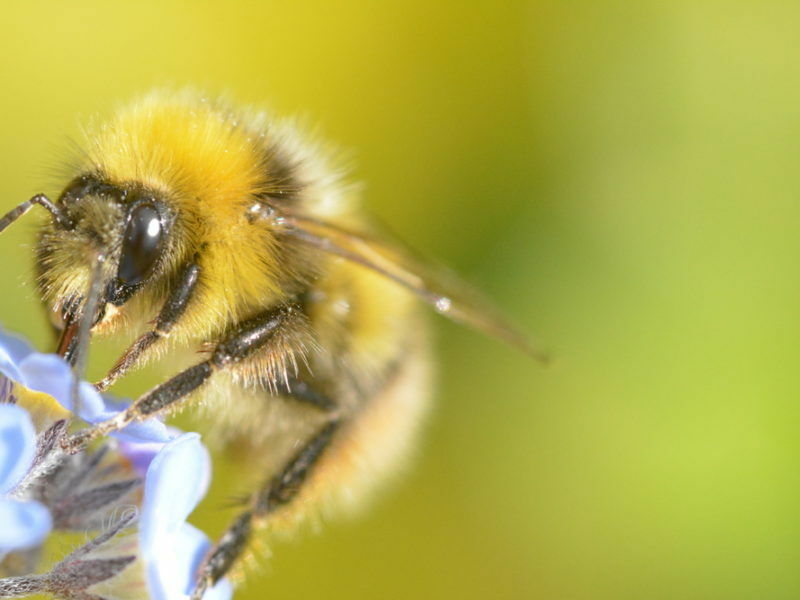 But EURACTIV understands that at least at this stage, the Commission is more willing to propose stricter rules on neonics’ use than a total ban. The world’s most widely used insecticides would be banned from all fields across Europe under draft regulations from the European Commission, seen by EURACTIV’s partner The Guardian. Syngenta is one of the main producers of thiamethoxam, a pesticide used to coat seeds before germination. In an interview with AFP on 14 September, Syngenta chief executive Erik Fyrwald emphasised the need to launch a debate on what ‘sustainable agriculture’ is in terms of pesticides’ use. “We have a lot of discussions about specific products. I think it’s really important to step back and have a real discussion with the government, and with NGOs and academics about what is sustainable agriculture,” Fyrwald noted, adding that politicised and unscientific discussions should be avoided. For Fyrwald, neonicotinoid pesticides were not as dangerous as was being suggested. “When you look at the data, we believe pesticides have very little impact on bees, on the health of bee colonies,” he emphasised, adding that bees are affected by other factors, such as varroa mites, diseases and cold weather. “It’s important to understand that we produce a lot of seeds, and our seeds require bees to pollinate the crops, so we have high value for bees. Without bees our business would not exist,” Fyrwald added. Environmentalist NGOs claim that neonics should be completely banned as they pose severe threats. Greenpeace’s food and agriculture director Marco Contiero told EURACTIV that it was legitimate for a company like Syngenta to defend its products. “What we find less acceptable is that these products are being presented as a sustainable solution,” Contiero noted. 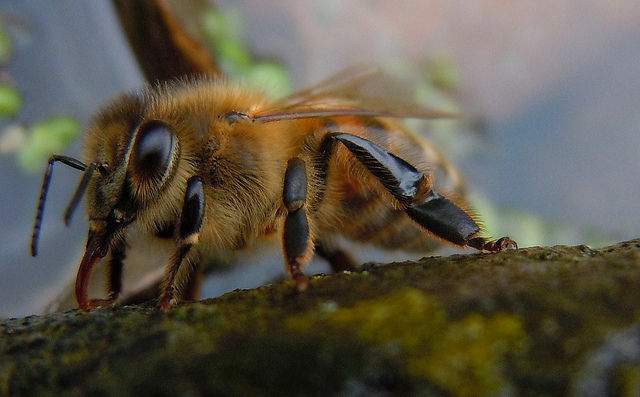 Neonicotinoid pesticides should be considered a serious threat not only to honeybees, but also to many other species, according to a scientific review published today (12 January) by Greenpeace. The EU has adopted a directive on the sustainable use of pesticides aiming to minimize the risks on the environment and human health. According to the Greenpeace expert, the basic principle of the integrated pest management (IPM) is that chemical intervention should only be used as a last resort. Contiero explained that the focus should be on prevention (taking care of farms, soils, biodiversity), before looking into varieties and plants that are more resistant. Thirdly, there should be practices that strengthen the plants and the surrounding environment, such as crop rotation. Finally, there are non-chemical measures, such as pheromones, which interact with the mating system of pests and prevent them from multiplying. “If all those approaches do not work and there is a pressure from a pest on a field, then using pesticides which have been identified as safe can makes sense,” he stated. Greenpeace believes that using neonicotinoids as a preventive measure and coating billions of seeds is like giving antibiotics to every human being on earth, whether or not they are sick. “If we use chemical pesticides as a preventive measure whether or not there are diseases or pests, is not a sustainable practice, and not in line with EU legislation,” Contiero said. After the two-year moratorium on three types of neonicotinoid pesticides, the European Food Safety Authority (EFSA) this month issued an unfavourable opinion on two of the chemicals, for uses that are still authorised. EURACTIV’s partner Journal de l’Environnement reports. “Why don’t NGOs look at organic pesticides and decide which ones are good and which ones are bad? Why are they not examined? ” he asked. Fyrwald particularly questioned the use of copper as a fungicide in organic farming. “Copper is a heavy metal. You put a lot of metal in the soil, is that good for the soil? Is that good for the consumer? For the farmer? I don’t know,” the Syngenta CEO said, adding that the regulators have to look at all technologies before deciding what is really sustainable. The organic farmers reacted strongly to this statement and blamed Syngenta for backing an “old input intensive industrial model”. Eric Gall, Policy Manager at the European Organic Farmers Federation (IFOAM EU), told EURACTIV: “Syngenta defends the old input intensive industrial model it benefits from and is in denial of the impact of its pesticides on biodiversity and on the health of farmers”. According to Gall, judging agriculture systems on the basis of GHG emissions per unit of product is grossly misleading because it hides all the negative impacts of intensive agriculture on ecosystem services, natural resources like soils, water and biodiversity, and on the health of farm workers. “In a world where 30% of the food goes to waste, today’s challenge for agriculture is not to produce ever more, but to reduce the use of inputs and the overall impact of food production on the planet’s resources,” he stressed., claiming that a growing number of consumers and experts call for a transition towards agroecology, which is knowledge intensive rather than input intensive. Referring to Syngenta’s CEO copper comment, Gall noted that while the organic movement is leading research efforts on the reduction of copper use, copper is much more benign than the hundreds of different synthetic chemicals that can be used in conventional vineyards. “A country like France deploys around 60,000 tonnes of pesticides each year, at the expense of the environment and of the health of farm workers. Numerous studies have suggested links between pesticide use and a range of health impacts, including cancer, Parkinson’s disease and other chronic conditions,” the organic farming expert concluded. Two of the most extensive field studies conducted to date in Europe and Canada have confirmed the hypothesis that neonicotinoid insecticides are harmful to bees and other pollinating species. This is a complex issue. The £2.8m investment in trials in the last two years in UK, Hungary and Germany were inconclusive probably reflecting the actual situation. 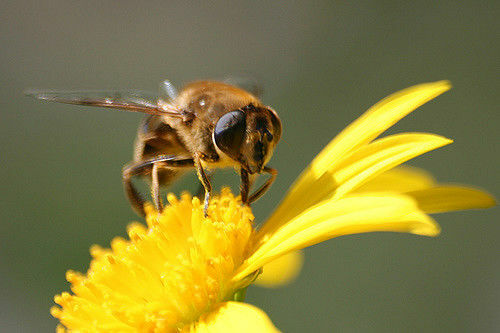 The trials suggest that it is possible to use neonicotinoids without damage to pollinators. The ban has, however, also highlighted that there was excessive use. It is clear that the greatest damage we can do to pollinators is to reduce production of flowering plants (as MEPs appear hell bent on doing). Better regulation is not a ban but greater understanding of the ecosystem.